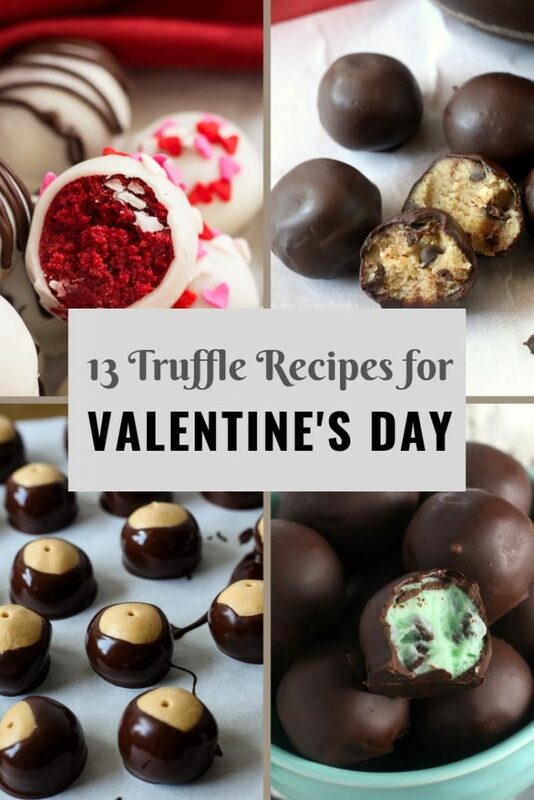 Skip the store bought Valentine's Day candy and truffles and opt for one of these easy homemade treats. 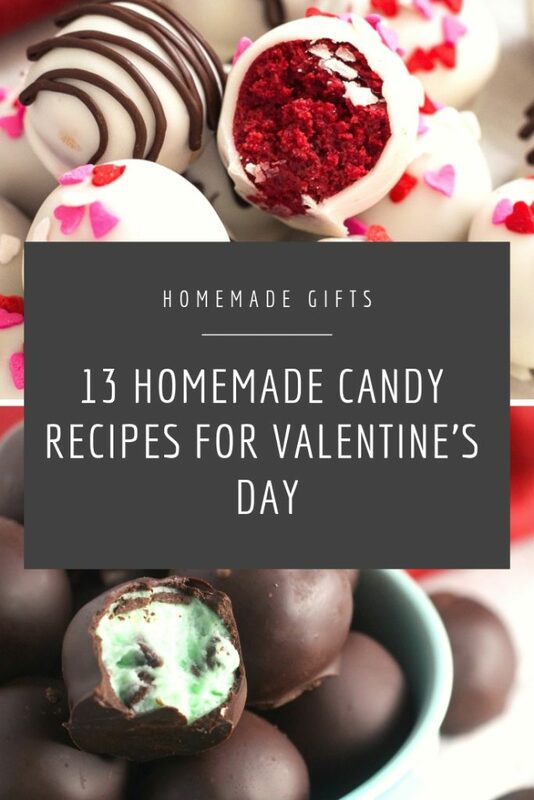 Making homemade candy for Valentine's day is sure to make a meaningful impression on those you love. 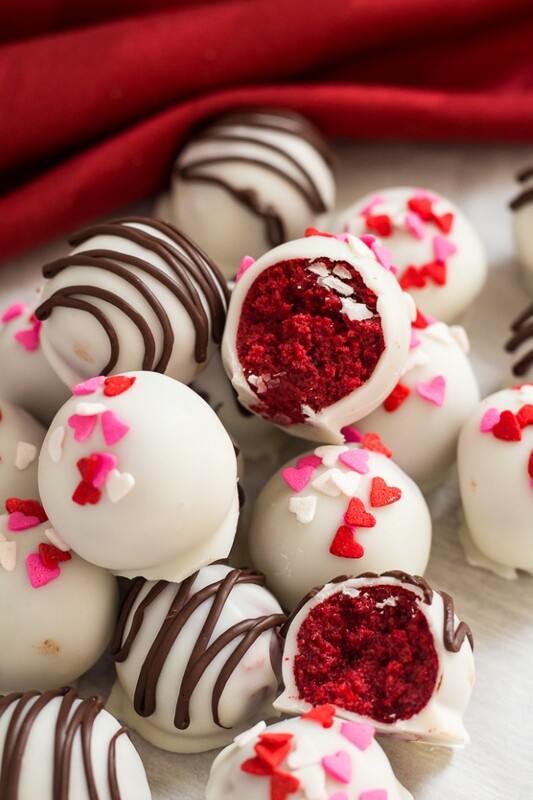 These Red Velvet Cake Balls are dipped in white chocolate and are elegant truffles for Valentine's Day. 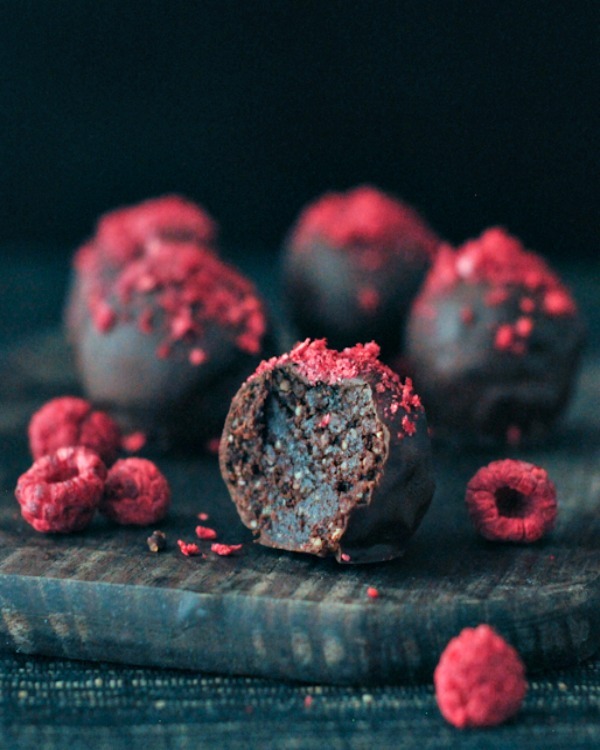 A chocolate brownie truffle with tangy raspberry accents. 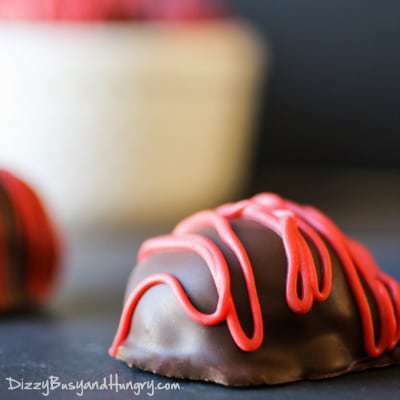 Nothing says love more than Raspberry Chocolate on Valentine's Day. 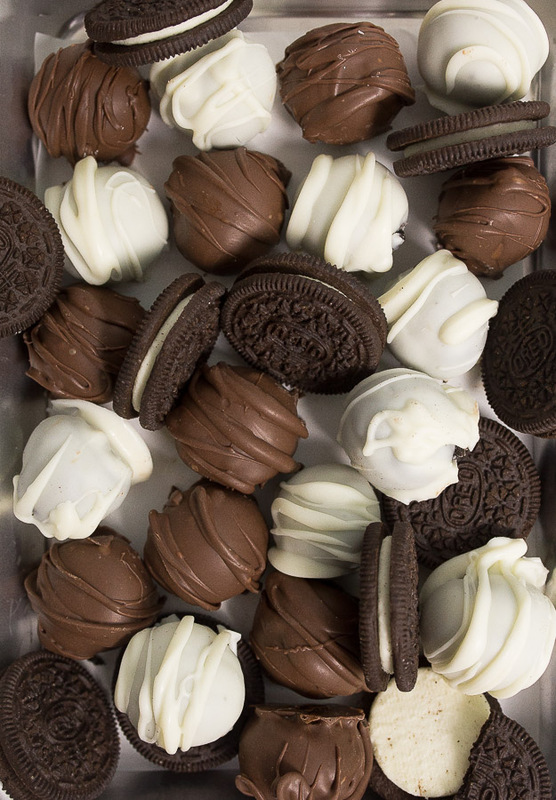 If you've never made truffles from Oreos and Cream cheese, don't wait. 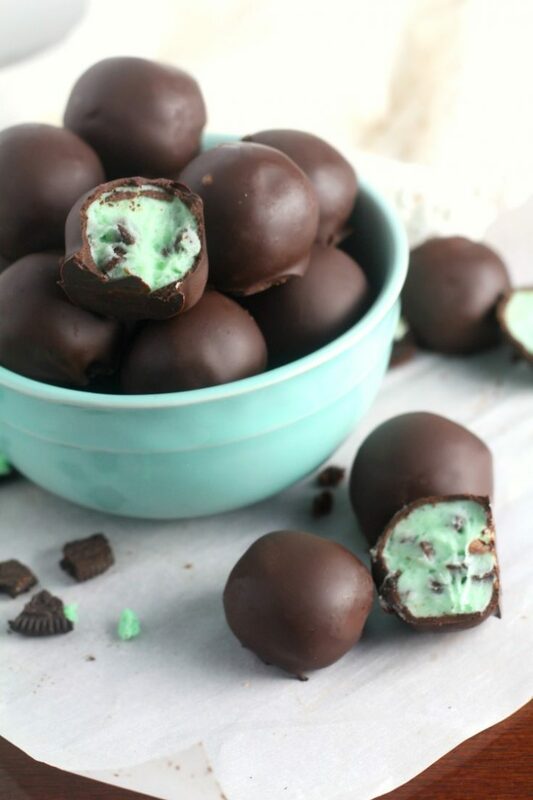 Not only are they easy, they're a favorite with everyone who tries them. 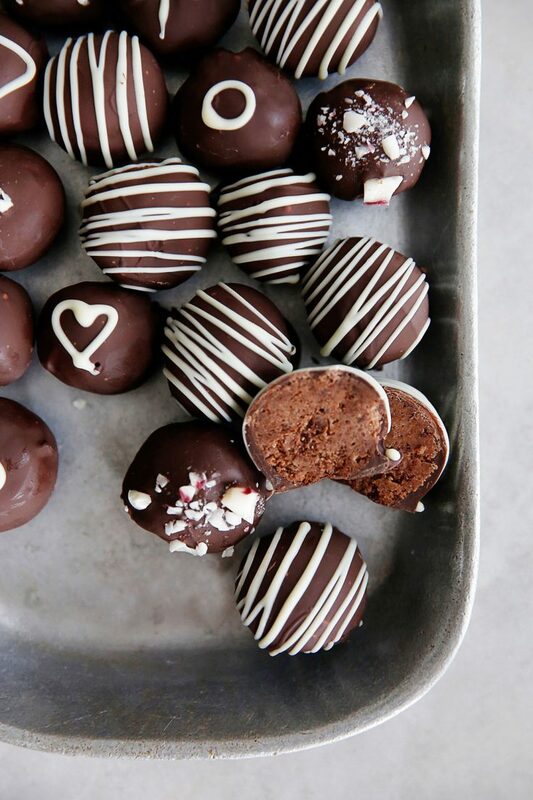 The classic Italian dessert in truffle form will make any occasion feel special. 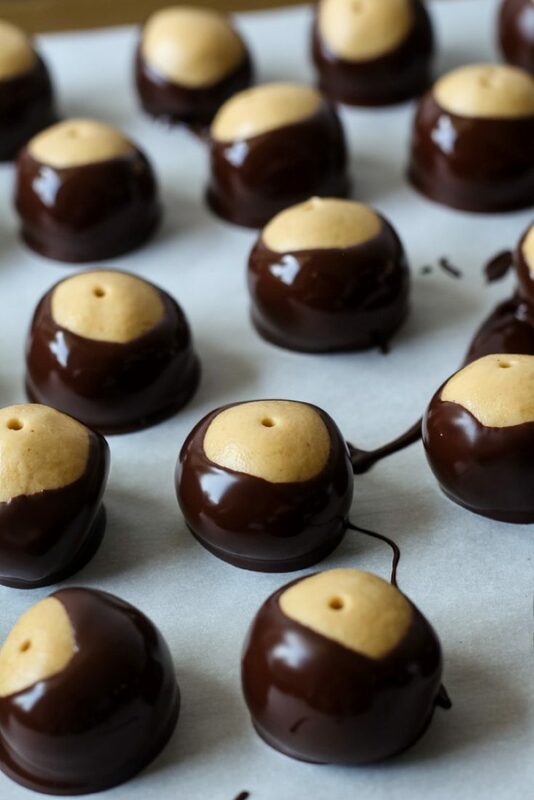 Buckeyes, also known as Peanut Butter Balls, have a smooth peanut butter center and chocolate shell. 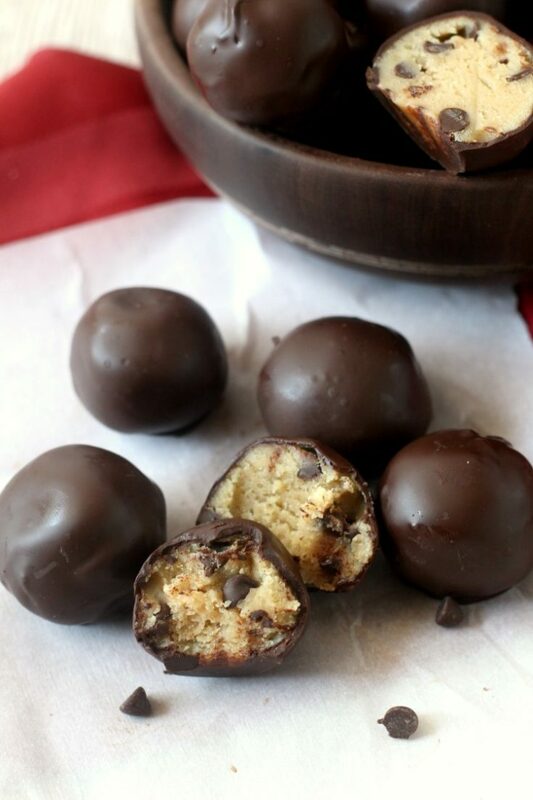 Perfect for all your chocolate peanut butter lovers. 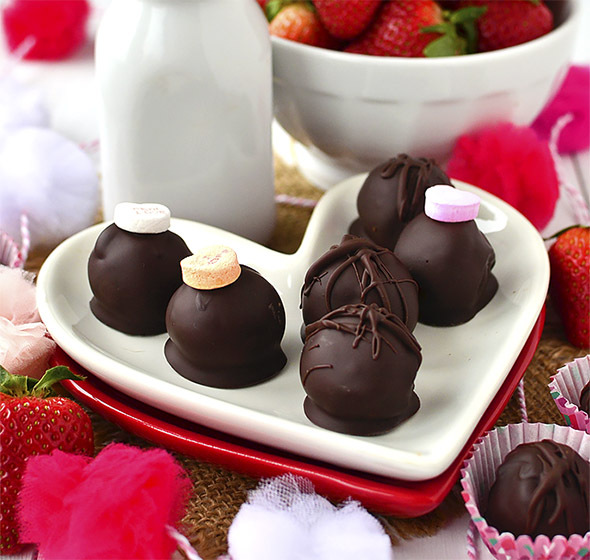 Strawberry Cream Cheese Truffles for all those who love chocolate covered strawberries in your life. 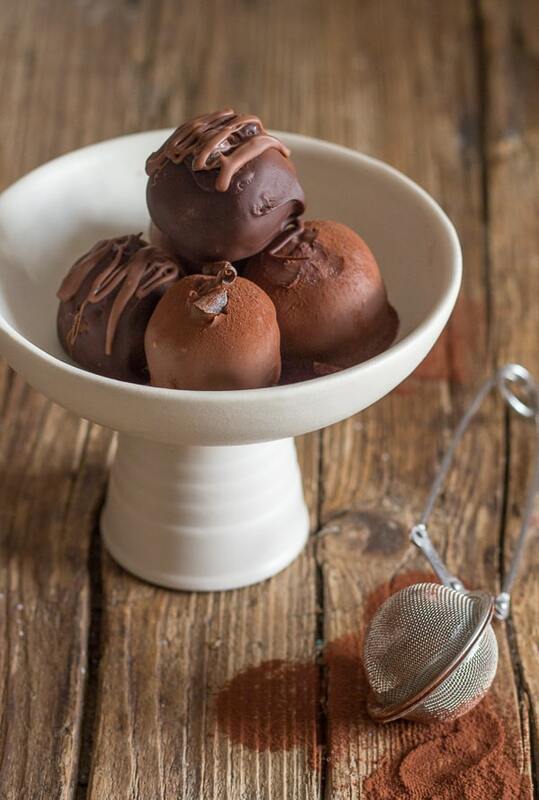 Decadent Brownie Truffles that are Top 8 Allergen free. They look extra cute with a conversation heart on top. 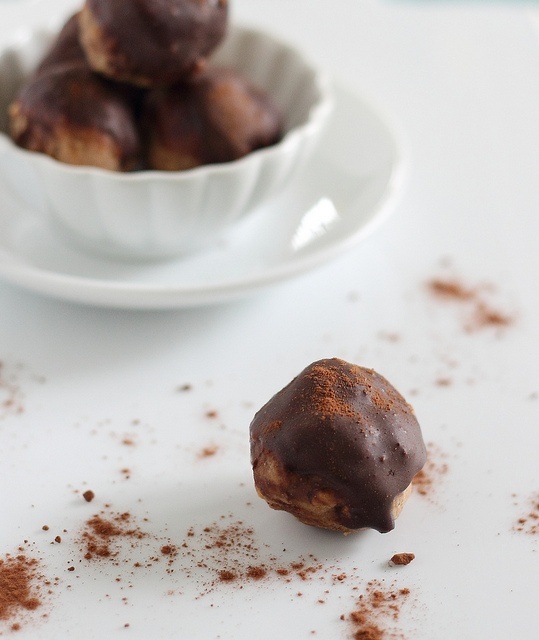 Vegan truffles using avocado to make them extra creamy. No one will ever know they're getting a nutrition boost. 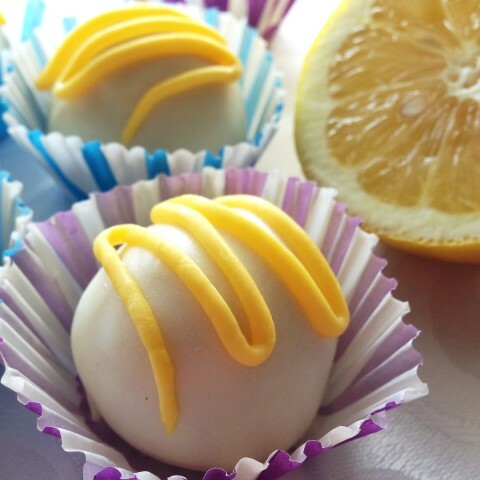 A fun truffle for kids and adults alike. Made gluten free with gluten free chocolate cookies. 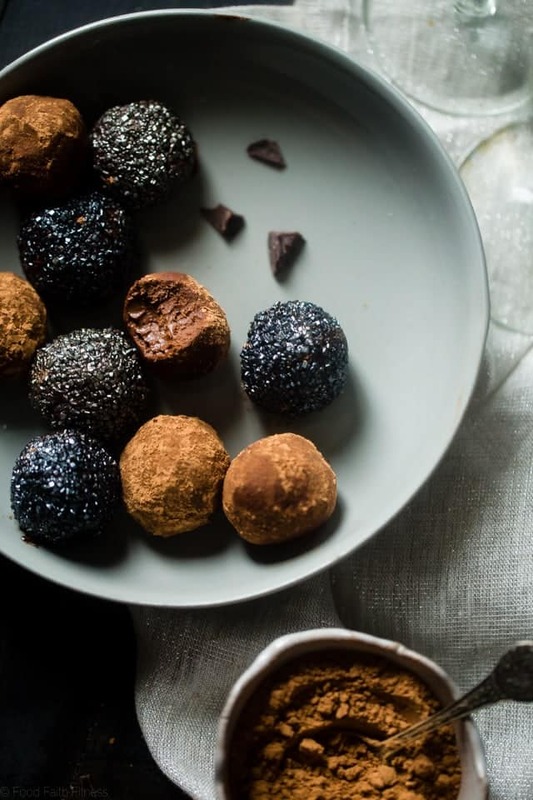 With only 3 real ingredients, the truffles come with a lot less guilt for the health conscious in your life.